Estate administration in probate court can be a complex process. Typically, an attorney’s assistance is necessary for an executor to properly and efficiently fulfill his or her duties. At Niehaus Law Office, LLC, we represent executors and administrators who are responsible for handling a loved one’s estate. We prepare and submit all filings to probate court and provide advice and assistance regarding the collection and liquidation of assets, the payment of debts and expenses, and distributions to beneficiaries. 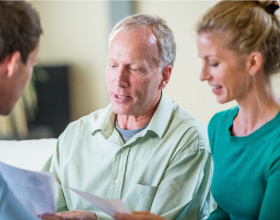 Our guidance helps executors to fulfill their duties, including correspondence with beneficiaries and next of kin. Clients appreciate that we typically prepare the decedent’s final tax return and any tax returns required for the estate. We also assist trustees with the administration of a trust after the grantor’s death. We help the trustee to carry out his or her duties, including the liquidation and distribution of assets, reporting to beneficiaries, and the preparation of tax returns. Our office has handled over 2,200 estates since 1978; we are well-versed in estate- and trust-related tax matters. Our experience and knowledge simplify the estate administration process and provide clients with peace of mind, knowing their legal matters are being handled properly.